Citric Acid is a naturally occurring weak organic acid commonly found in lemons, oranges, limes and other citrus fruit. Citric acid is also produced as a by product of the citric acid cycle during metabolism in living organisms. Its also a natural preservative and added to food producing an acidic or sour taste. 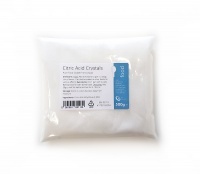 At room temperature citric acid appears as a white or clear crystalline solid. It melts at 156oC and boils as 310oC. Citric Acid will dissolve in water; this process is endothermic and reduces the latent temperature of the water as the entropy increases. The molecular formula for Citric Acid (anhydrous) is C6H8O7. Citric Acid was first isolated in 1784 by Carl Wilhelm Scheele who managed to crystallise it from lemon juice. It was later found that Citric Acid is produced by Penicillium Mold from sugars. Pfizer began industrial production of Citric Acid in the early 1900's using this very same process. This production technique is still used today and produces much of the Citric Acid used in industry. Citric Acid is used throughout the food industry for many purposes. 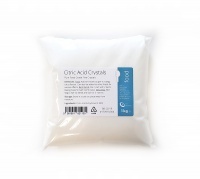 Citric Acid's main use is as a flavouring and a preservative due to its reasonably low pH, making it quite acidic. 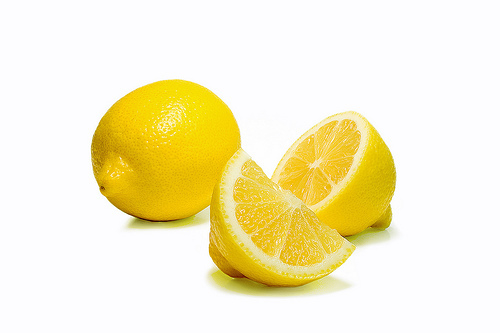 It can be used as an alternative to fresh lemon juice to give a citrus taste and is often used in soft drinks. 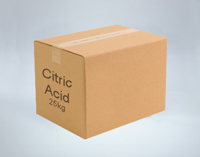 Citric Acid is an excellent chelating agent which helps bind metals. 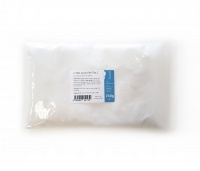 It can be used to removed scale / lime-scale from kettles, boilers and evaporators. 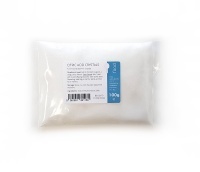 Citric Acid can be used with Sodium Bicarbonate to produce an effervescent compound forming the basis for any bath bomb. 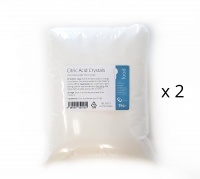 Citric Acid is used as a pH adjusting agent in cream and gels. Citric Acid is an alpha hydroxy acid and is the active ingredient in most chemical peels. 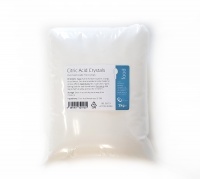 Citric Acid is one of the active ingredients in the production of some antiviral tissues. Citric Acid is often used as a lower-odor stop bath when developing photographic film. Photography film developing solutions are alkaline and the acidic quality of Citric Acid neutralises and stops development of the film.